If not, you will. 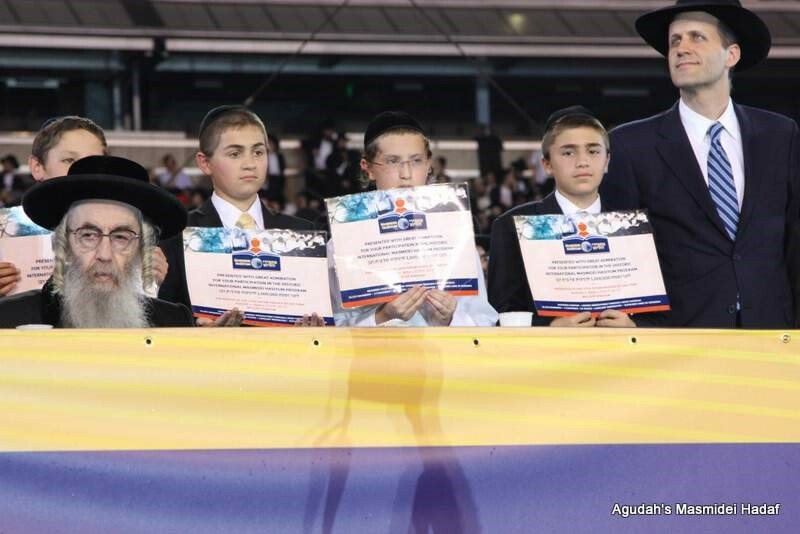 It is on its way – to your yeshiva, your school, your child. The Masmidei HaSiyum Program. Recently unveiled at yeshivos and chadorim everywhere, this ground-breaking program has already been met with tremendous enthusiasm. 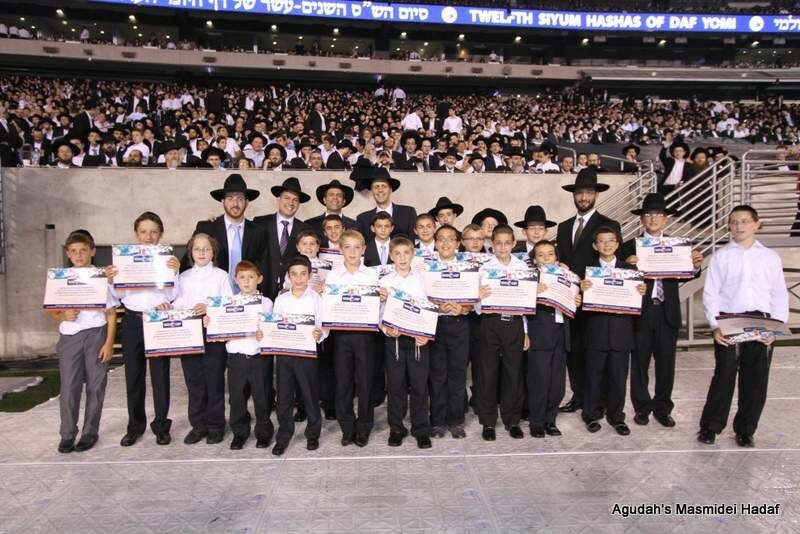 It’s hard to believe it was almost seven years ago, but remember the last Siyum HaShas? 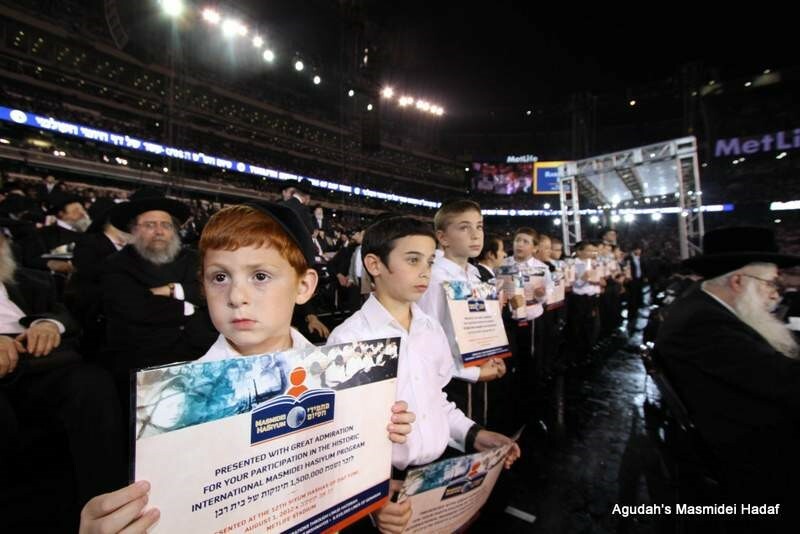 For many, the most stirring and heartwarming parts of that global siyum were the moments when the youngest children – our precious kinderlach from across the world- sang together and joined in The Siyum to be part of kedushas Limud HaTorah along with the tens of thousands of mesaymim. 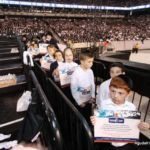 Children are the future of Klal Yisroel, it is their learning that is therefore a key part of the upcoming Siyum HaShas, to take place in MetLife Stadium, and around the world, on January 1, 2020. Everywhere, preparations are well underway for this world-wide event. In the spirit of Rav Moshe Shapiro’s ongoing vision for united achdus in learning and harbotzas haTorah, Agudas Yisroel is hard at work. Many new learning programs have already been successfully implemented for maximizing the potential for the 13th Siyum HaShas to be mekadesh shem shomayim. These programs include Chavrei HaSiyum, for shuls and communities to divide up the learning on their own schedules but still be part of the overall Siyum, as well as the Chaburah initiative which assists in more Daf Yomi chaburos being spread across the country and the globe. Nothing, however, is more precious than encouraging the increased learning of our children. Carefully designed to promote the building of success upon success, students will be seamlessly logging their exact amount of learning each day. Based on their progress, they earn tickets for exciting weekly raffles and prizes to keep the momentum going. One Rebbe or faculty member at each school acts as the ‘Masmidei HaSiyum ambassador’, collecting and organizing material to help the system run smoothly and keep the boys on track. 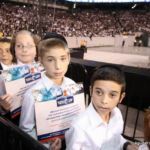 The sense of accomplishment they will feel promotes good will throughout the yeshiva, and generates ongoing anticipation of the global Siyum and beyond. 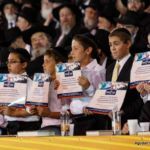 The program also acts as a unifier to promote achdus not only within individual yeshivos, chadorim, and schools, but in the learning of our youth wherever they are – the world over- united under one banner of Limud HaTorah. Young children through teens go from being merely spectators to true “mesaymim,” via the collective and organized learning of Tinokos Shel Bais Raban. 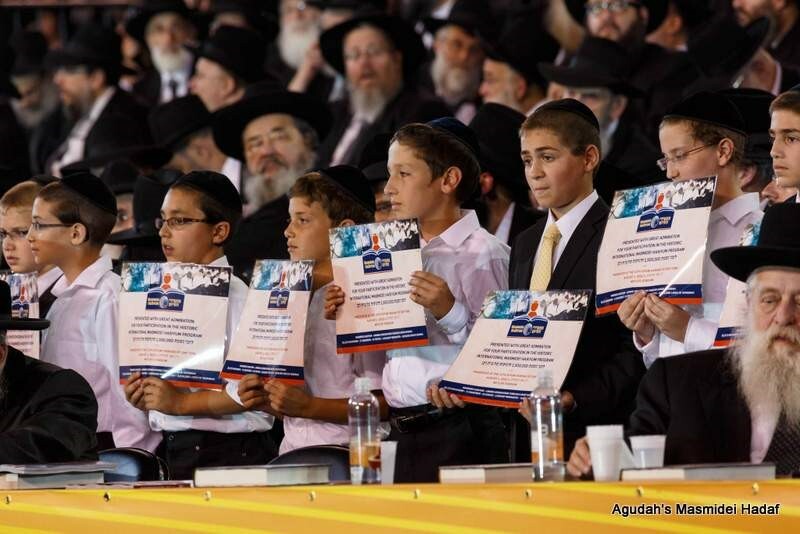 “To have the incredible zechus to see grandfathers, fathers and sons all learning together along with other family members making siyumim… that is a dream come true.” A key component of the Masmidei HaSiyum initiative is the “Dor L’Dor” program. This aspect will allow for collective family siyumim that will span generations. 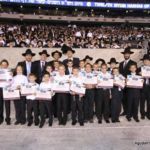 What better way to cement the bonds of mishpocha, and enjoy collective nachas as a family siyum becomes part of the global Siyum HaShas? Another exciting motivational tool – already in use in New York yeshivos, is the Mishna Rishona program which allows talmidim to call in and learn by phone. They are able to listen to Rabbi Fishel Schachter’s transcribed and translated masechtos – (so far Masechos Moed, Nezikin, and Kodshim are all up and running) and after each perek, the bochur takes a test. If he passes, he is credited and gets more tickets. This will be a tremendous boost starting January 2nd 2020- after the Siyum HaShas – for continued learning for all Masmidei HaSiyum. To that end, every single Masechta in Shas is slated to be recorded by Rabbi Schachter for use by the Masmidim. Additionally, it is a great way for students to learn right now – logging their time on Mishna Rishona as well, while they continue amassing points toward Masmidei HaSiyum. Rabbi Elimelech Chanales, Menahel, Yeshiva Derech HaTorah gives a long-range view: “The Siyum HaShas becomes bigger and greater the more the children get involved.” Masmidei committee member Reb Yechiel Eisenstadt insightfully notes: “Looking back, many felt that one of the most moving, and emotionally powerful moments at the last global Siyum HaShas was when Boruch Levine sang ‘vizakeinei ligadel bonim uvnei vonim’, while the children who were taking part and making their own siyumim stood proudly nearby on stage singing along.” With this in mind, a major presentation is planned for the coming Siyum HaShas to involve the children directly in the program. This initiative is inspired by the heartwarming moments that stay in our collective memory, inspiring us all to push further as we raise the coming generation to embrace, and to truly love Torah learning. 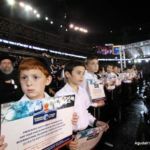 Many tens of thousands of boys are expected to participate in Masmidei HaSiyum, and iy”H approximately 30,000 boys will attend The Siyum in person. 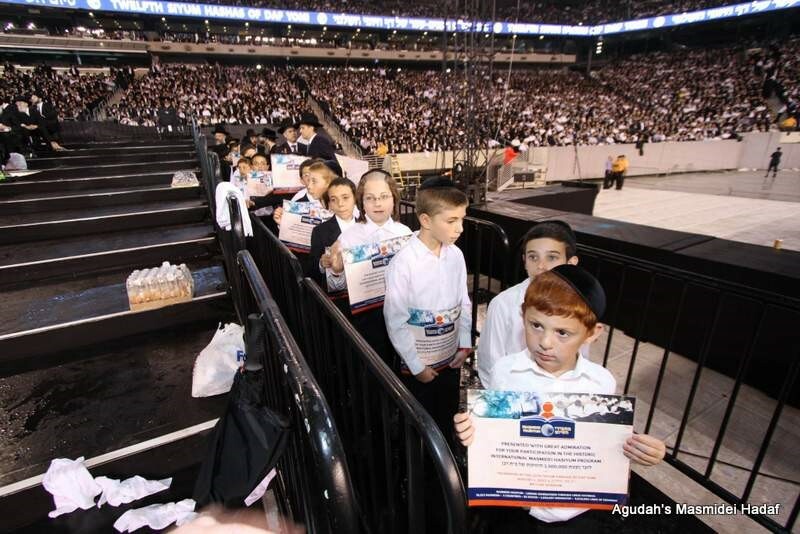 What an amazing zechus to have all these children there learning lizecher nishmas a loved one. The Masmidei program brings home the message of ‘ki hem chayenu’, truly internalizing what it means for Torah to give life. 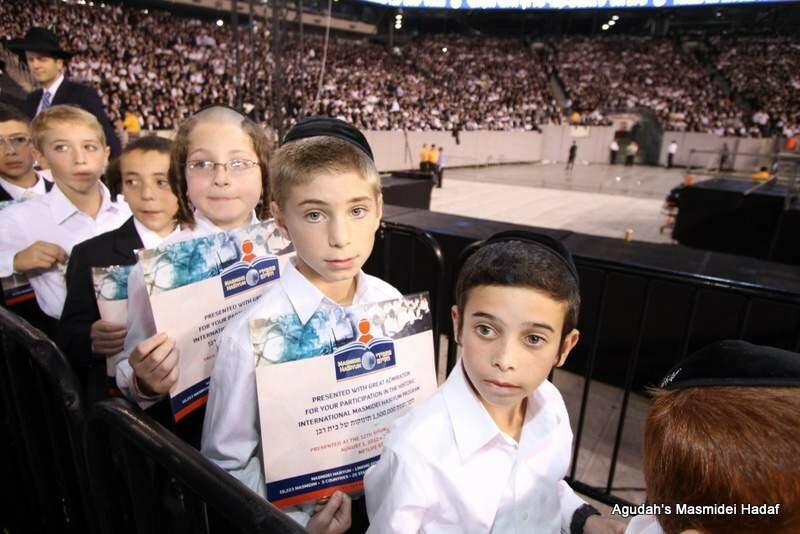 Children will not only be awed by the wondrous display and spectacle of Kavod HaTorah, but they will be making it happen. “By completing just one section of Torah”, exclaims Rabbi Bender with his trademark heartfelt sincerity, “the child is driven to learn more and more. He is learning from simcha …because he enjoys it!” This is the precious gift available to all future young mesaymim at this year’s Siyum HaShas. May we all be zoche to see the nachas of the next generation flourishing in Limud HaTorah.